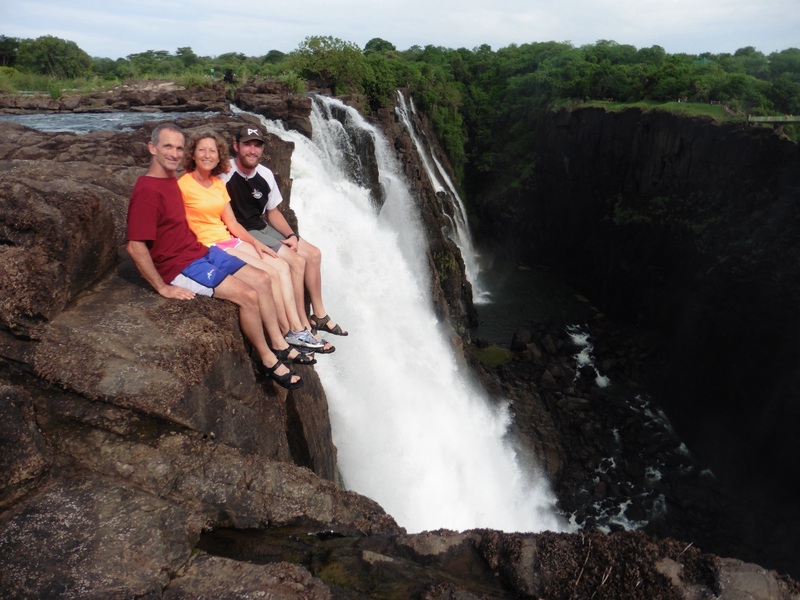 Between Christmas and New Years, I had the wonderful opportunity to meet up with my parents in Victoria Falls. It was spur of the moment as my mom found a great deal on a pair of plane tickets. 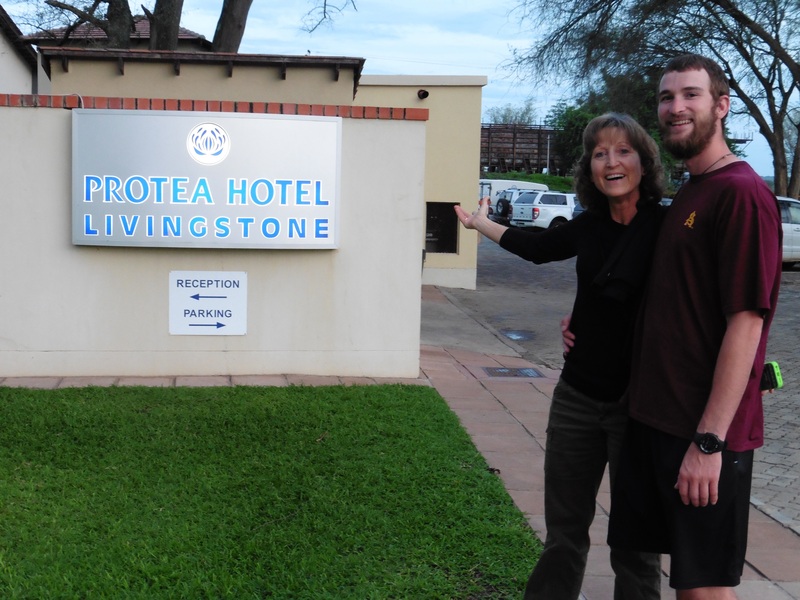 Getting everything planned out, we were going to meet at the Protea Hotel in Livingstone, Zambia and spend four days together. I arrived before my parents, got all checked in, and waited for their arrival. 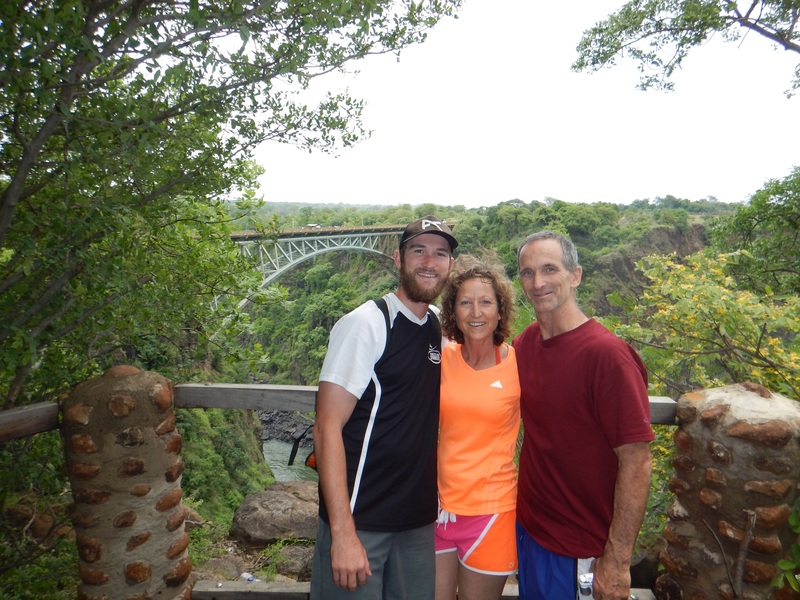 It was so great to see my parents and I couldn’t believe they had just met me in Africa! Meeting up at the hotel, we were able to hang out, relax, and eventually get food. The first day together was laid back and we spent it catching up on the past four months. We ate dinner at a really good cafe that night and then it was time to get some sleep because we had some big days ahead of us. After eating breakfast, we were picked up and on our way to Devil’s Pool. 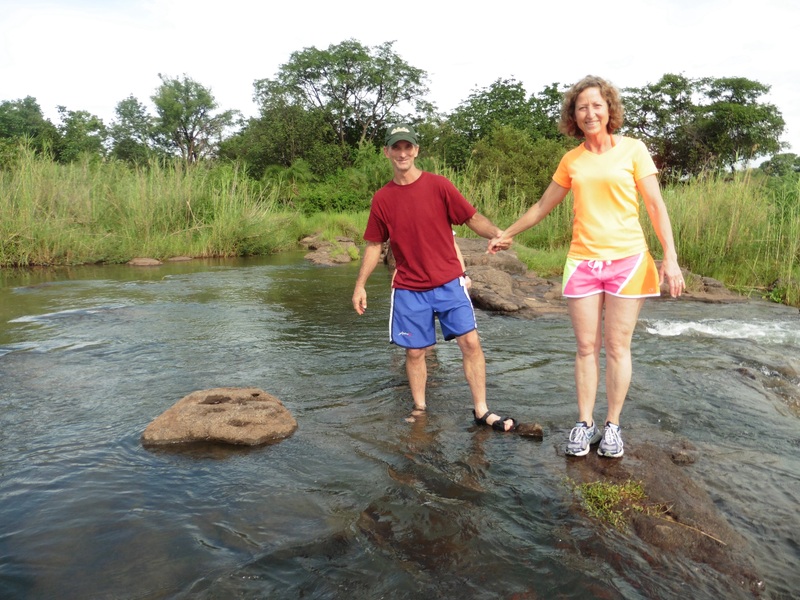 Luckily for us, we were still able to experience this since it was right at the end of the dry season. 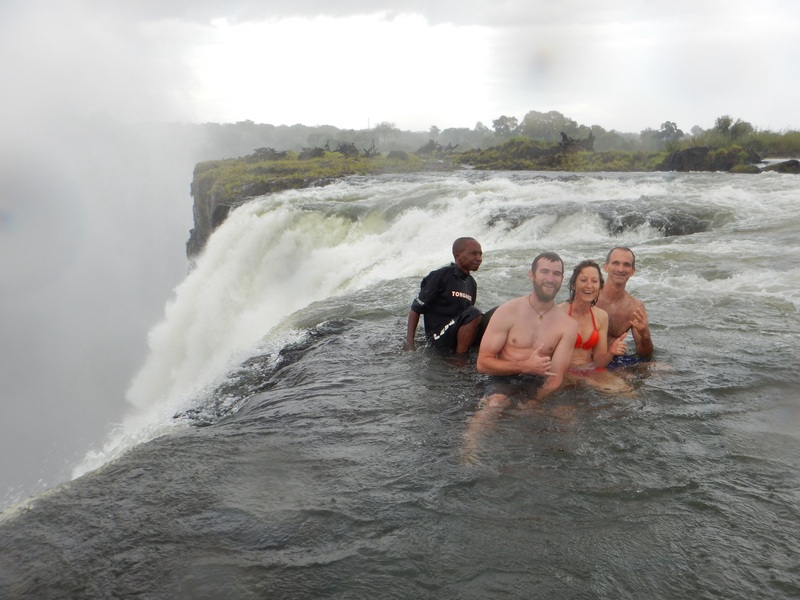 Devil’s Pool is next to Livingstone Island and is located on the edge of Victoria Falls. 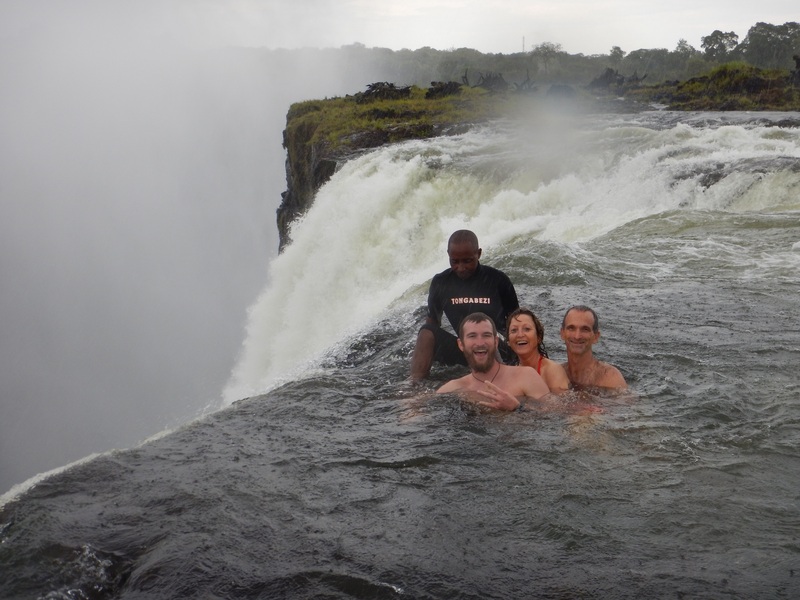 This was such an awesome opportunity to be in a natural pool on top of an 885m tall waterfall. 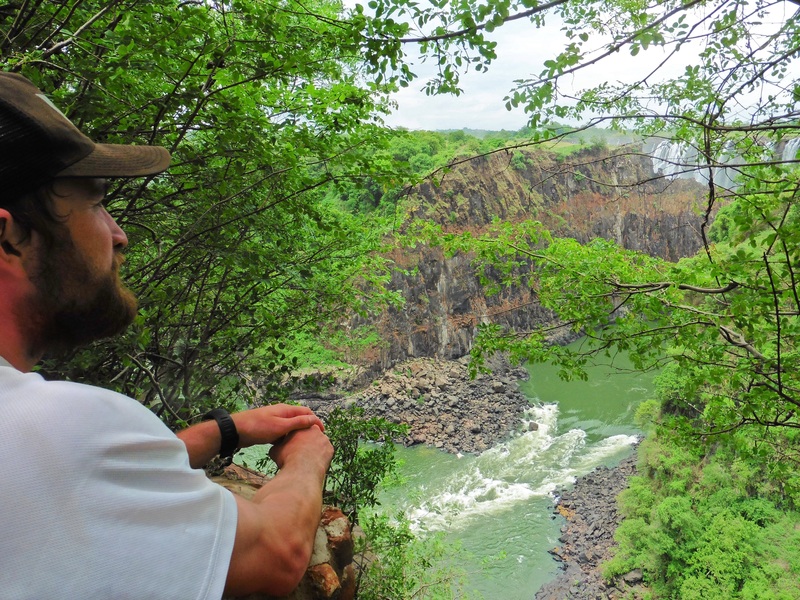 For the rest of the day, we visited the Zambian side of the falls and admired all of the views. 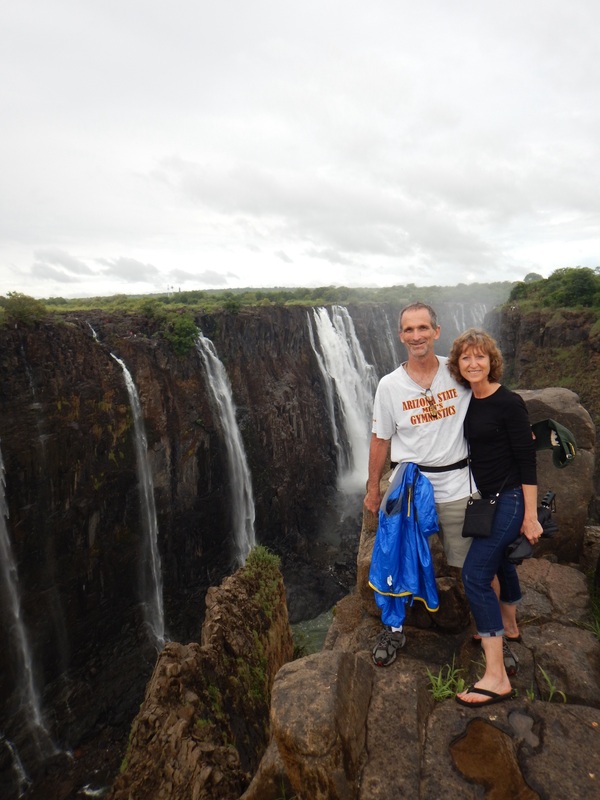 With the low waters, we were able to walk along the top of the dry falls and look right over. 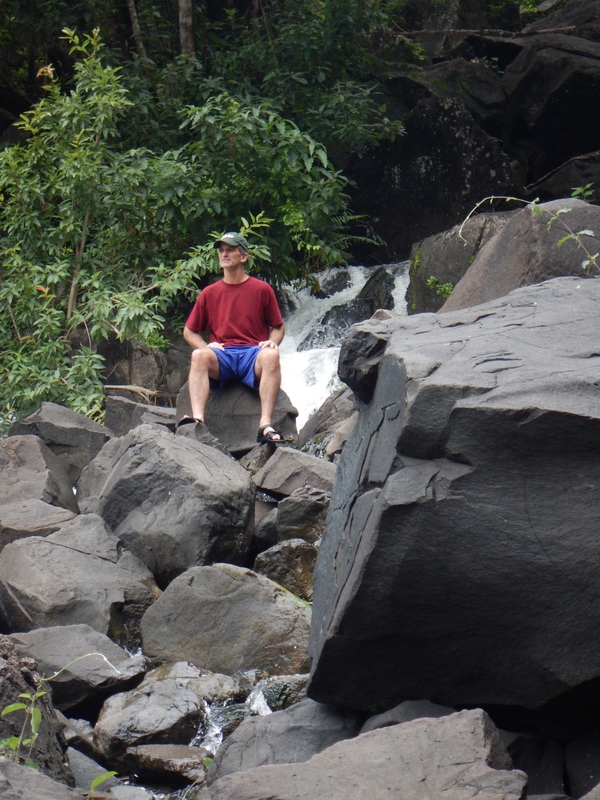 Finding a local guide, he took us to another incredible spot, Angels Armchair. This was a pool that was located on top of the falls but didn’t have much water running over. My favorite part however was a spot we called Angel’s Armpit which is a tiny pool that can fit two people and you sit while looking over the edge of the falls. 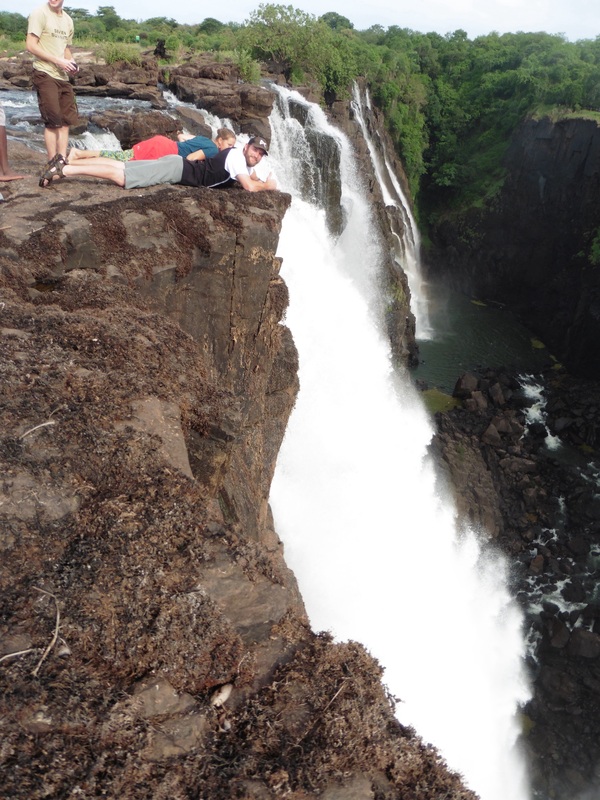 Being so close to the edge, this was one of the rare times I was scared and made sure to be extra careful as not to fall. The following day, it was time to do some white water rafting. A full day lay ahead of us as we would paddle and survive 25 rapids. Some of these were rated as a class 5 Rapids as well which meant it was going to be fun and interesting! 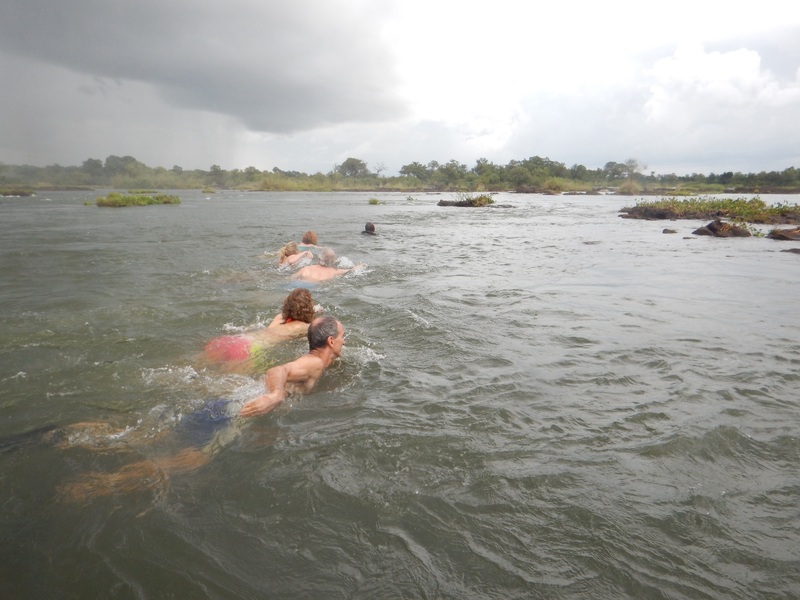 Hopping into our rafts, it was my parents and I along with the guide and four others. 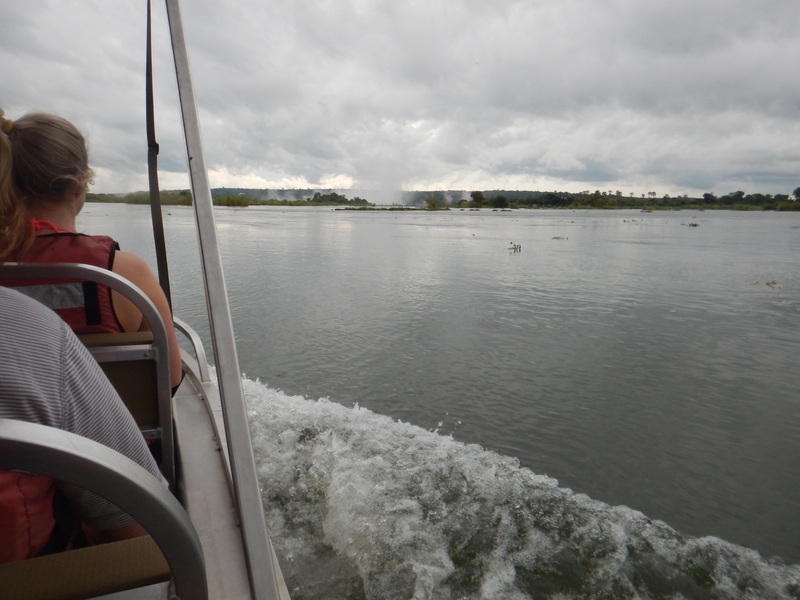 As we paddled and navigated our way through the first seven rapids, we were doing great. Rapid 8 came and was the biggest and hardest rapid we would encounter. Getting flung out of the raft as it capsized, the next few minutes were spent at the disposal of the rapid and current as it carried us down stream. 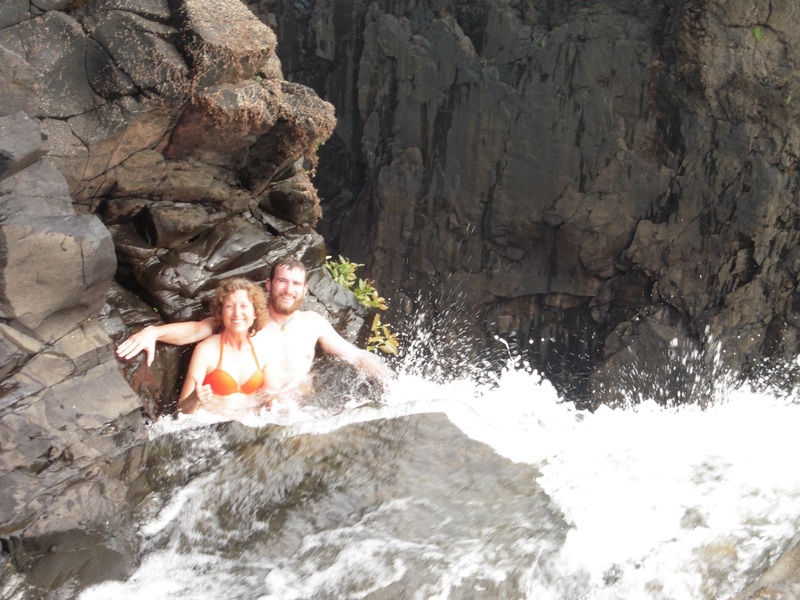 Luckily I found my mom and we floated out the rapid together. This was a crazy experience! We finished rapid 11 and it was time for lunch before we continued on our journey to the finish. What a great day of white water rafting in such a cool location. 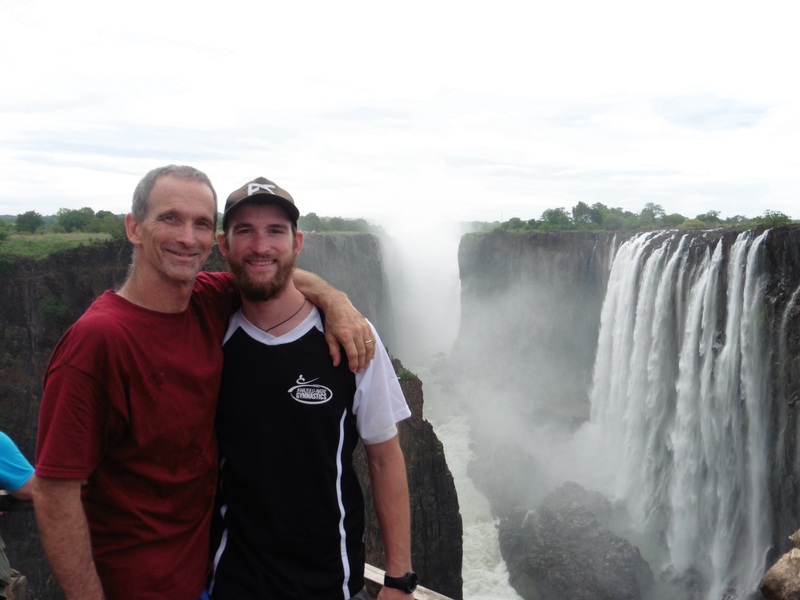 For the last full day we had together, it was time to head to the Zimbabwe side and view the falls. 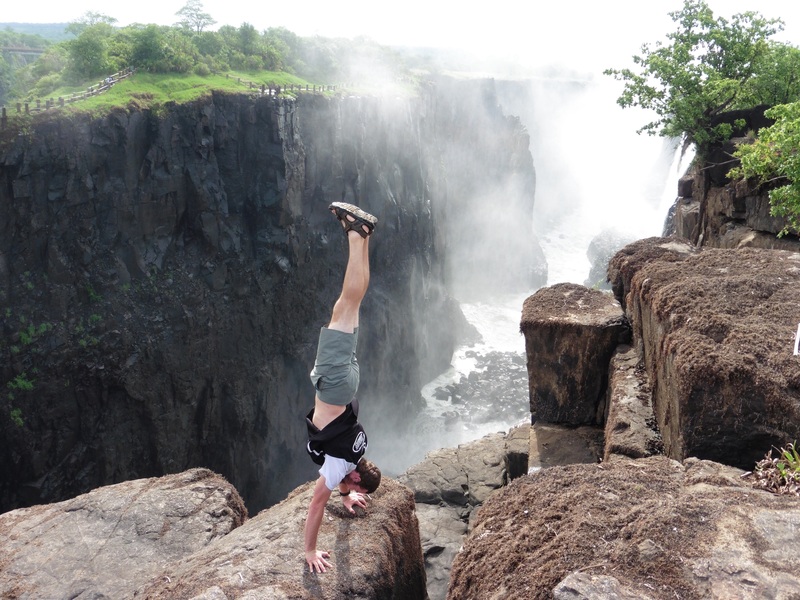 This was spectacular and there are spots where you can walk right up to the edge and look over. 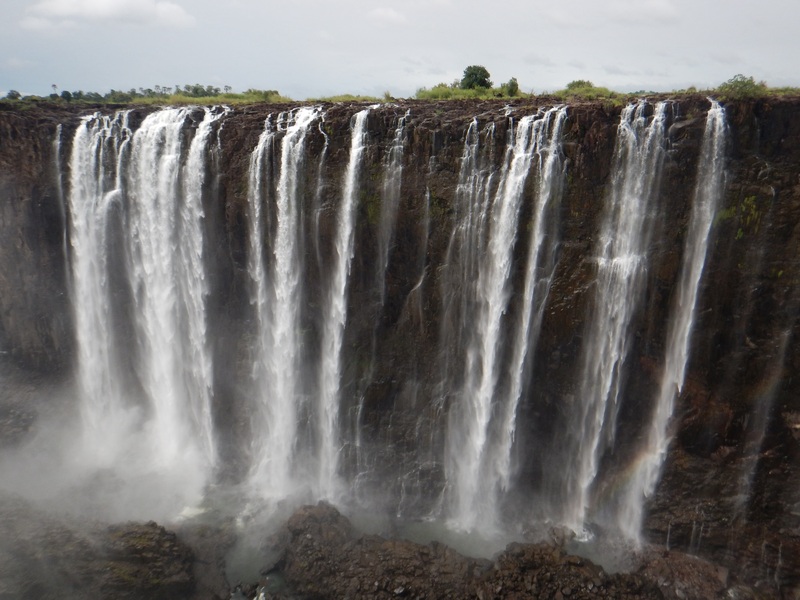 We viewed the falls from every point possible and I couldn’t even imagine how the falls would be during the wet season. There would just be too much water and mist everywhere to get a good view. The time I spent with my mom and dad was wonderful. I loved every second of it and we were able to see and do so many incredible things. 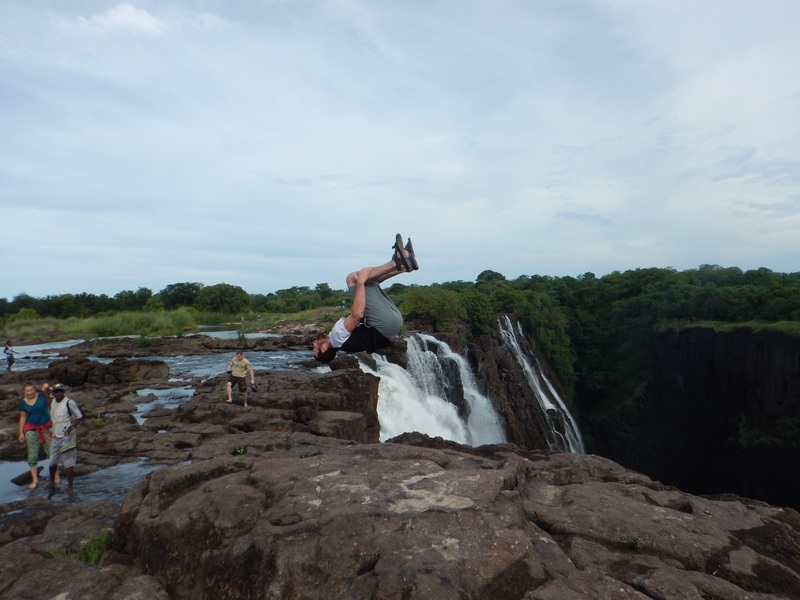 It was a great time of year to go and experience Victoria Falls. 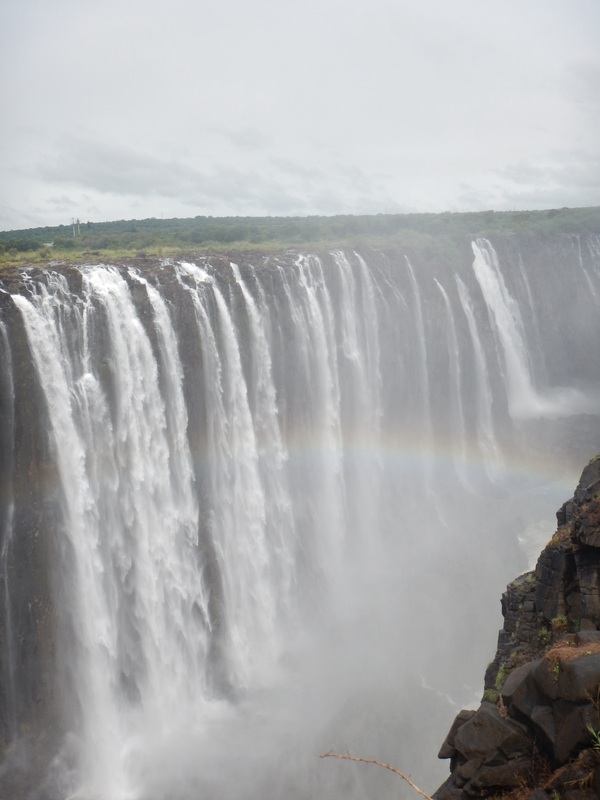 Viewing the falls from the Zambia side, I thought was way better than the Zimbabwean side which is not typically what you hear. Just being able to walk along the top of the falls was an incredible experience. Livingstone town was good as well and I enjoyed it more than Victoria Falls Town. This was a trip I will never forget! Dang great trip!! Loved the rafting trip. The fried caterpillars and BBQ crocodile was quite an experience too. 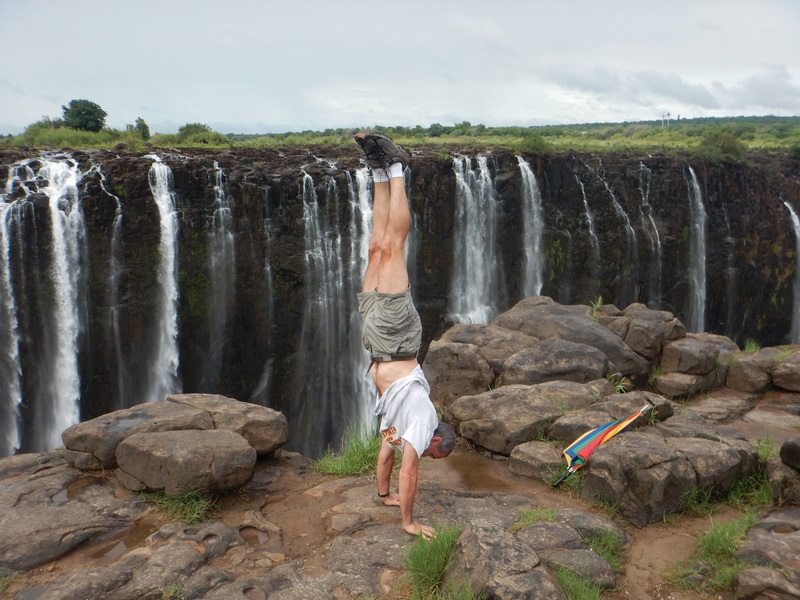 Working the edge of the falls gave me my cardio workout each day just from fear!!! Awesome. This trip really was a blast! Enjoyed every second of it!